Could Kickstarter Help A Struggling NHL Franchise? Last week, the American-based private for-profit company “Kickstarter” made national headlines once again when their site was used to revitalize a once dead “Veronica Mars” movie project. In less than 12 hours, passionate fans of the former television series were able to raise over $2 million to turn what was once a pipe dream into a reality. This amazingly generous act from a large and dedicated group of fans made me wonder – what is the average person even more passionate about than film and television? After only a few seconds of contemplation the answer was as clear as day – professional sports. While some leagues like the NFL and MLB benefit from mostly prosperous teams, other leagues like the NHL have struggled to keep some teams afloat in recent years. Before I continue, let me first give the uninformed a little insight as to what it is that Kickstarter does exactly. Below, Wikipedia gives a very quick and easy to understand explanation of just how the Kickstarer process works. Kickststarter is one of a number of crowd funding platforms for gathering money from the public, which circumvents traditional avenues of investment.Project creators choose a deadline and a minimum funding goal. If the goal is not met by the deadline, no funds are collected, aprovision point mechanism. Money pledged by donors is collected using Amazon Payments. The platform is open to backers from anywhere in the world and to creators from the US or the UK. Kickstarter takes 5% of the funds raised. Amazon charges an additional 3–5%.Unlike many forums for fundraising or investment, Kickstarter claims no ownership over the projects and the work they produce. The web pages of projects launched on the site are permanently archived and accessible to the public. After funding is completed, projects and uploaded media cannot be edited or removed from the site. There is no guarantee that people that post projects on Kickstarter will deliver on their projects, use the money to implement their projects, or that the completed projects will meet backers’ expectations. Contributors have no way of receiving confirmation unless they directly ask the original owners and Kickstarter itself has been accused of providing little quality control. Kickstarter advises sponsors to use their own judgment on supporting a project. They also warn project leaders that they could be liable for legal damages from sponsors for failure to deliver on promises. Projects can also fail even after a successful fund raise when creators underestimate the total costs required or technical difficulties to be overcome. Now that you know a little bit more about how Kicksarter works, it’s time to see just how the crowd funding platform could be applied to the teams of the NHL in the future. Growing up on Long Island and later moving to South Florida, I have never been lucky enough to cheer for a team that prints money. While clearly every NHL franchise is a multi-million dollar organization, it doesn’t mean that every team has millions to spend to improve both their team and arena. Around the NHL, for every CONSOL Energy Center there are two other arenas just begging for a face-lift. Anything from a large project like a revamped concourse to something as small as new cup holders – everything and anything is a possibility. 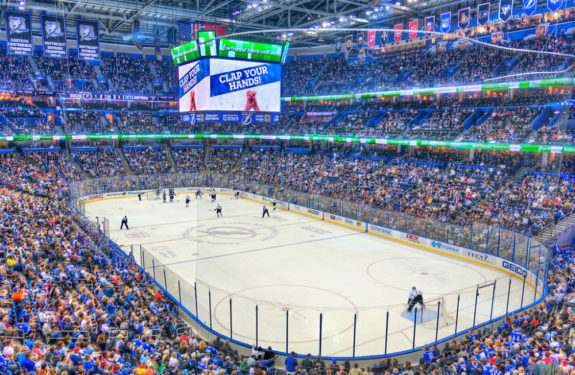 For example, the Florida Panthers are in dire need of a new scoreboard, but have put off constructing a new one due to mostly financial concerns. Just across the state, the Tampa Bay Lightning recently built a brand new $5 million scoreboard that has not only pleased their own fans, but also made countless fans of other franchises envious of such a grand improvement. If the Panthers continue to remain unable to collect the money needed for a new scoreboard, then perhaps a platform like Kickstarter could be used to expedite the process. If the organization were to start a fund to help pay for the renovation either partially or in full, I have no doubt that even the Panthers’ medium sized fan base would be able to help raise the money needed to complete the project. It is renovations like these that would greatly help fans better enjoy the experience of going to a professional hockey game and in reality they would be pledging money to improve their own experience. While fans who pledge money would see no financial return, the improved experience may be worth the investment. Every season there are an abundance of small market teams that either fail to retain their star players or simply cannot afford to sign the players that are necessary to build a contender in the NHL. While every team in the league players under the same salary cap, it does not mean that every team can afford to spend enough to even reach the pinnacle of the league’s salary limitations. As I write this, there are 8 teams in the NHL whose payroll is roughly $15 million under the league’s salary cap. While the numbers may be a bit funky this season due to next year’s impending lower cap, the fact remains that many teams fail to come within reach of the league’s cap even though they are given the option. This has nothing to do with a team’s desire to win or build the best team, but rather their inability to go on spending sprees due to the limitations of their market. This is where Kickstarter could potentially come into play. 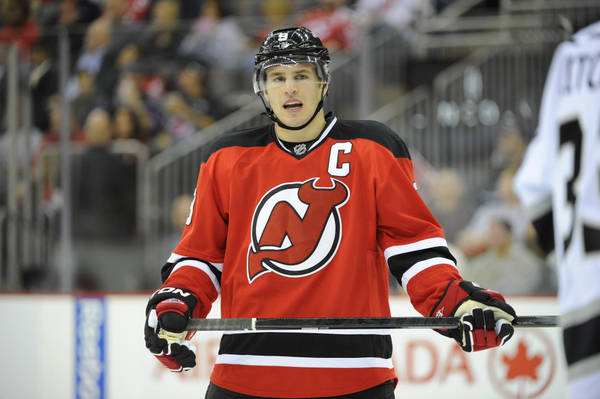 Let’s flash back to last season for a second – The New Jersey Devils had, led by their Captain Zach Parise, made an amazing run all the way to the Stanley Cup Finals. Sadly, the Devils were unable to cap off their miracle season and eventually lost to the Los Angeles Kings. However, the team’s woes did not end there as the team was later saddled with the burden of trying to resign Parise who was set to become a free agent. Even though the team had hoped to retain their Captain, Parise later accepted a much larger offer from the Minnesota Wild. Just like that, the business of hockey robbed the Devils and their fans of their star player. Although Parise’s departure was a financial decision, it had nothing to do with the Devils not having enough cap space, but rather their inability to pay him regardless. If the team had the option to have their fans pledge money to keep Parise would he have stayed? The amount that would have been needed to be raised makes that a tough question to answer, but there is no doubt that the team would have had a better shot. While this option is a much bigger stretch than something as simple as arena renovations, it doesn’t mean that is impossible. Although retaining a star player would require multiple millions of dollars, setting up funds for key role players could be just as important to a team’s success. In today’s NHL fans are constantly complaining about their team’s unwillingness to spend big money every offseason, but in the future a platform like Kickstarter may give them an opportunity to put their money where their mouth is. While I know that the application of Kickster into professional sports does sound a bit far’fetched, it does not mean that it is impossible. I strongly believe that fans would unite to improve their team both on and off the ice if given the opportunity. Obviously many things would have to be addressed before team’s could be open to such an idea, but based on how Kickstarter is taking off in Hollywood, I wouldn’t be surprised if rumblings began to circulate around the front offices of many pro teams in the future. The main thing holding up this process moving forward other than quite a bit of red tape would most likely be team owners unwillingness to accept donations like this. While owners have no problem asking for public funding via local legislatures, the process of using Kickstarter may feel more like begging and I doubt that any titan of industry would feel comfortable asking for a handout even if it is needed. I wrote this piece not as a sure fire way to convince fans that Kickstarter will one day play a major role in their team’s finances, but rather as a way to wonder if fans may one day be have the opportunity to be directly more involved with their team and hockey going experience. Kickstarter could not have saved the Atlanta Thrashers from moving to Winnipeg, but it could have helped improve the Nassau Colosseum enough for the Islanders to not flee to Brooklyn. I for one, would relish the opportunity to kick a few bucks toward my favored team if the return meant that my team would be in a better position than it is now. Although this process may never find a place in professional sports, the amount of money that it has already generated for Hollywood and other projects will not doubt make it something worth talking about. If history has taught us anything it’s that money will always get people talking.